As you compare the Jaguar F-TYPE to the Porsche Boxster, it’s important to keep in mind the areas where each model excels. One such area that Edgewater are sure to take note of is the 2019 Jaguar F-TYPE exterior. It mirrors its high-performance nature, not only in terms of style but also in terms of its construction. Find out what other features set the new Jaguar F-TYPE apart! The 2019 Jaguar F-TYPE exterior and interior style changes based on which trim level you select, but all feature flowing body lines and sculpted contours. F-TYPE: Features bold proportions and instinctive curves, your choice of 18-inch to 20-inch alloy wheels, and powerful LED headlights. 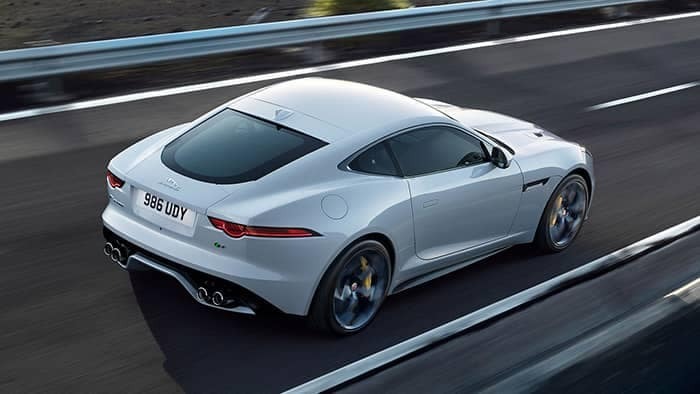 F-TYPE R-DYNAMIC: Boasts a bolder and more assertive stance and 20-inch alloy wheels. F-TYPE R: Mixes performance and style to provide more dynamic capability and a sensuous appearance. F-TYPE SVR: Uses dramatic exterior design to create unique performance capabilities. Lighting is a crucial aspect of the 2019 Jaguar F-TYPE exterior. Standard LED headlights include LED “J” blade Daytime Running Lights, both of which adapt the width and depth of their beam to your speed. Their quality is close to daylight for the best possible illumination that’s easier on your eyes. Meanwhile, LED rear lights provide a contemporary feel given their slim nature. Finally, your choice of different roofs on the 2019 Jaguar F-TYPE exterior rounds out its appearance. Aluminum: Strong, lightweight, and complementing color, this roof allows for a pure Coupe look. Panoramic Glass: Spanning the entire width of the roof, natural light and airiness can enter the cabin. A manually sliding blackout blind increases seclusion if desired. Carbon Fiber: On Coupe models, this roof features carbon fiber weave that can be seen through a high-grade lacquered finish. Convertible: Enjoy fresh air by lowering the top in just 12 seconds at speeds of up to 30 mph. This fabric convertible top is lightweight to enhance performance. 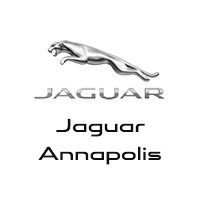 Connect with Jaguar Annapolis, a short drive to Severna Park, to find out how much the Jaguar F-TYPE costs at each trim level and to design your ideal sports car! If you are partial to a black Jaguar model, explore our available models for sale.